I have a customer with a Yamaha G2 Grand about 30 years old. During the extremely cold weather recently, apparently crack appeared in the soundboard. I haven't seen it yet but will tomorrow. The customer asked in advance if I knew of someone who could repair such a crack. I have known the customer for a long time so I know how he is sensitive to the Cosmetic aspect of this. Assuming that he agreed to have the crack repaired with wood epoxy, does anyone know if any dye or tint can be used to make the epoxy not look nearly black once it is cured? White or yellow? The epoxy doesn't move with the wood. Ive seen cracks come back alongside the epoxy. Chris' response is the basic message taught at a conference class I attended many years ago. 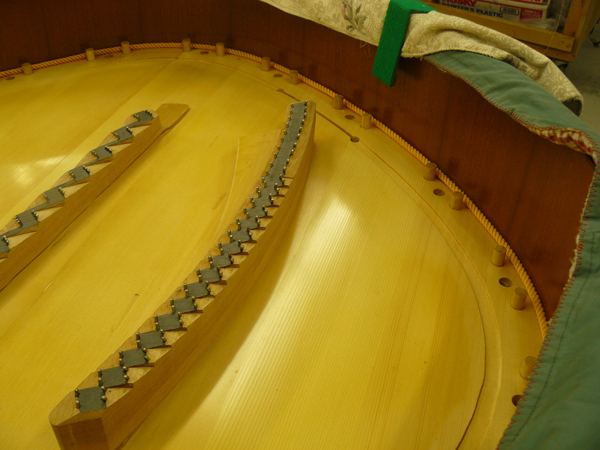 Shimming produces a crack between the shim and the soundboard right at the glue line. From memory, the glue saturated wood doesn't move the same as the unsaturated wood therefore the crack at the glue line. Drastic climatic changes will put stress on a soundboard. The customer has to decide on a fast cheap fix that may not last or a proper fix for far more money. Nice piano .... sad to hear. 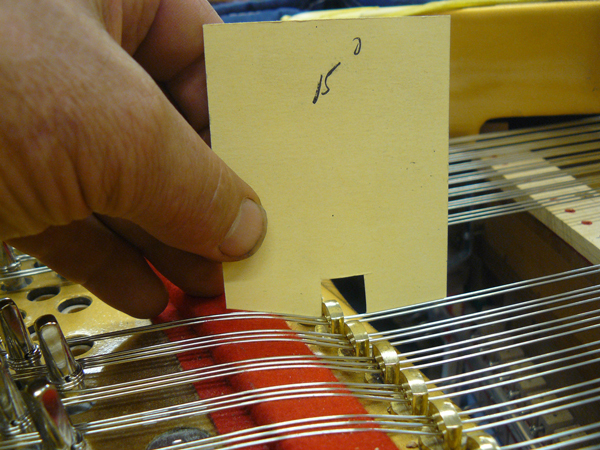 Larry F. wrote: "Shimming produces a crack between the shim and the soundboard right at the glue line. From memory, the glue saturated wood doesn't move the same as the unsaturated wood therefore the crack at the glue line." Whereas your statement is correct in that the shim glue line will produce a line where the soundboard panel can preferably crack - it doesn't necessarily produce a crack though. The same is true for all the glue lines on a soundboard panel - all ten or so of the glue lines that make up the soundboard panel. Not necessarily any reason the panel is going to crack at the shim glue line any more than others (assuming the ribs are glued to the panel). But then again, if the panel is cracking and the ribs are falling off, is anyone really concerned with a little crack in the panel? ​To add to Chris's concern about epoxy repair failing at the crack. A few weeks ago I made mention that lyre post dowels had broken away from the upper plate due to my belief the break occurred because of a previous epoxy "gluing" job. Will someone explain how you get epoxy to expand and contract to prevent these obvious "glue" separations? Hi- regarding getting epoxy to "expand / contract" -- epoxy as a class of adhesives itself would not necessarily have any more issues with expansion / contraction than other classes of adhesive. Having said that, matching the adhesive to the job, and how one uses the adhesive for the job, is of course the issue. Having said that, there are epoxy formulations that are designed to have higher elongation than others, for use in conditions where there is dimensional movement, or for bonding of materials that have differing coefficients of thermal expansion, etc, etc. WEST G-Flex is one example of an off-the-shelf epoxy that is designed to have some of these characteristics. I've had good success w/ G-Flex bonding metal to wood, for example. I've not yet used it for cracks. It's fairly viscous at room temp, but I have gotten it to flow into cavities using a heat-gun on low setting. That's odd. Epoxies ability to "give" just a bit is one of the reasons I use it to fill soundboard cracks. I started using the material because it gave better long-term results than fitted wood shims. I have seen failures with cracks filled with polyester -- i.e., "Bondo" type materials -- but not epoxy. Except when colloidal silica fillers (a "thickening agent") is used. Small amounts of colloidal silica can make the epoxy rock hard. But, if fillers like ground cotton fiber or ground wood fiber are used it should retain most of it's natural flexibility. I have traditionally used epoxies made by Gougeon Brothers (WEST) and by System Three. I've familiar with their characteristics. Any time I try a new product I run a test sample by pouring some out on a Teflon sheet, letting it cure and bend it, twist it, test it to see what it does. Though I use epoxies often, the "cured" epoxy is not inert. It continues to crosslink for a long period of time after "full cure". In the historic conservation field, where I worked previous to piano work, structural failures, in time, were common. The remedy was to create reasonably good joints and "dutchmen" so that the width of the fill was small. We aimed for a minimum fill of 3/32" between parts and a maximum of 1/4". This keeps the long term crosslinking (resulting in increasing brittleness) from creating too great an expansion differential between wood and epoxy. correction...make that Historic Restoration, as opposed Historic conservation. We were working on architectural field restorations not museum conservation. If crack isn't causing any audible difference I would recommend leaving it till season changes. It may virtually disappear. If not, and cosmetics trumps function, I'd address it again in the next dry season. For this repair I use West Systems epoxy, thickened with their Ultralight filler with a small amount of yellow and/or red powdered chalk to match the soundboard color. I've never done this repair on its own - it's always been part of a restringing. Usually the piano involved is older than your G2, and ribs have separated from the soundboard adjacent to the crack - these must be re-glued. I haven't had any issues with cracking at the repair site. The repair is always done in the dry season. If the piano doesn't already have a DamppChaser, I include one in my proposal. Porcelain restorers use something like zinc or aluminium oxide mixed in with the epoxy - or even talc. For restoring blue-and-white porcelain I used some dilute blue food die in the talc and dried it out before mixing with the epoxy and it was superb. I wonder if CA might be better than epoxy. Mitre-fast with an accelerator gives time to work and with de-glue solutions it's reversible. 30 year old epoxy is often faulty. To install a shim you need to enlarge the crack. There's no need to enlarge the crack to fill it with epoxy, just work it into the crack with a palette knife. The repair may be not much wider than a grain in the wood. You can mix clear epoxy with wood flour. Buy it from a woodworking supplier or make your own by sanding a piece of wood. Mix enough wood flour with epoxy to add body to stop running. Close the back of the crack with adhesive tape. Gummed tape is better for large amounts of epoxy, but should not be needed for a small crack. You can also mask the soundboard front with masking tape to limit epoxy smears. Vinegar will clean up fresh epoxy smears. Test to be sure it doesn't react with the soundboard varnish. Can we assume that the plate is coming out and the piano is getting restrung? If not, I'm at a loss as to how you or anyone could fill this crack other than with a hypodermic needle and very thin epoxy (which is normally clear). Clarification please? Or have I already missed something? I will see the piano Thursday February 6th. I do not know yet what the nature of the crack is. What I needed to know was simply if an epoxy repair were to be the choice, is it possible to tint epoxy so that it wouldn't look so dark. That was the question. The color of the epoxy will depend on what kind of epoxy you are using. Unthickened West System epoxy is clear. You can use their thickeners to achieve a tan color. The crack at this point is cosmetic. An epoxy repair without pulling the string frame is pointless. The last time I did this during restringing, I placed electrical tape on the surface of the board on the crack and flipped the piano upside down. I applied the epoxy from the bottom and let it cure. Refinish the board. A lot of work for a cosmetic repair. I've heard it explained on the relevance of a crack: its surface area is minuscule compared to the overall sb surface area and that the area of the crack is not moving air. Hence negligible results. A repair might bother him just as much as the crack. Maybe it's time for a new board or piano. "30 year old epoxy is often faulty." Why would epoxy often fail after 30 years? What does 30-year-old epoxy have to do with the repair in question? First rehumdifiy the instrument, and see if crack closes back-up. Recent very cold air mass has been VERY dry. Been dealing with a spate of cracks here for the same reason. Unless the ribs have also separated from the board, and it can be determined that the crack is actually causing a problem, I would be inclined to leave it alone. If the concern is purely cosmetic, then I would tend to leave it alone, unless it simply doesnt want to close up, as repair attempts that involve adding material can be very challenging to blend in (speaking from long-time experience performing such repairs on violins and guitars). Regardless, I wouldn't attempt any repair and assessment until the instrument has been properly humidified. Regarding epoxy, I have worked with it extensively over the years. There is a wide variety of epoxies, which can be modified in a wide variety of ways. Can be remarkably useful and effective, and can also be tricky - just like anything else, I suppose! I saw the piano today. It was not my usual customer's piano. It was a friend's piano. It's basically toast. The crack was huge and look like the Grand Canyon running the length of the soundboard parallel to the bridge . I don't think there are Rebuilders out there who are putting new sound boards in 30 year old Yamaha G2 s.
I am not a Rebuilder but I did do rebuilding work for a period of 7 years back in the late 80s and early 90s. I only took pianos that had basically good soundboards but had perhaps a few minor cracks in them. I was not skilled at shimming and I didn't intend to go in that direction with my business. The epoxy repair for small cracks seemed to be appropriate and thus far, everything that I did repair that way has held up. The kind of crack I saw was the type that usually does open and close with the change of seasons. What I don't understand is the advice about trying to get the crack closed with humidity before repairing it. What I always did was dry the board as much as I could before I repaired it. Not knowing what I was going to see, I thought it was my customer of many years piano which was in good condition but I thought there might have been a crack that developed during this last round of very severely cold weather. As it turned out, that piano was doing fine. The people have the house humidified quite nicely and it only needed a regular tuning Plus the usual cleaning that I always do. I thought perhaps if there was only a small crack, that I could repair it on site by loosening and parting the strings around it and filling the crack with a tinted epoxy that afterwards wouldn't draw the eye to the repair. I wouldn't have any expectation that I could make it invisible. But then again, some people who do case touch up repair can do remarkable things such as painting in Grain where a huge gouge or chip has been filled with plastic material. When a worthy piano needs to go to a Rebuilder oh, I will be the first technician to recommend that. That being said, there are pianos that are not worth very much at all but are still useful instruments but have perhaps a particular problem that can be solved with a creative type repair. That, I am totally for doing when the situation calls for it. The piano saw today had little-to-no market value. Doing anything at all with the crack would not have been worthwhile. I recommended having the piano cleaned out, tuned and some basic regulation, Hammer filing and Alignment be done. I see plenty of pianos that are over 100 years old that are in better condition than the one that I saw today. It will not last beyond 50 years. I think that we are starting to see the answer to the question about how well some of these Asian pianos will hold up over time compared to the pianos made in the United States. William B. wrote: "I think that we are starting to see the answer to the question about how well some of these Asian pianos will hold up over time compared to the pianos made in the United States." I gather from other comments you made in your post that you are suggesting that "these Asian pianos" don't hold up over time as well as those manufactured in the USA. I find just the opposite. I routinely find 50 year old Yamahas and Kawais that are in good to very good working order. I find that it is rare to find an American-made piano of similar vintage in good condition. I agree with Terry. The first thing that came to mind from Bill's comment was "American pianos from which era?" There's a pretty clear line of demarcation pre/post WWII. There was a pretty steady decline up until the 90's when they had mostly disappeared completely. Some of the best Story & Clarks and small Baldwin grands from the late 60's in terms of longevity were made by Yamaha and Kawai. It would have been useful for Bill to mention the make, but I guess he didn't want to tar a manufacturer. The fact is, like in the USofA, there were some excellent manufacturers and some not so wonderful ones. Recently I did what I called a "makeover" to what was apparently a horrible Chinese grand from 2005, a stencil piano from the Dongbei factory with a Hallet and Davis stencil on it. It was so bad I refused to tune it...played like a truck, and completely un-tuneable. It had some fatal mistakes, but those mistakes were not structural. The actual build quality of the structure, plate, board, was actually quite good. I fixed the fatal mistakes, put about 13k of work into it...no soundboard needed...and turned it into an outstanding instrument...Chinese origin not withstanding. The heavy industry part, Dongbei has down quite well...which is why I picked the instrument up as a spec instrument. Time related artisan skills, were missing, and could be fixed, along with rescaling and reconfiguring the front stabilizing lenth of wire between agraffe/capo and pin. Sold for 15K, to the first pianist who sat down to play it...5k more than the dealer sold it for in 2005, because with the fatal errors fixed, combined with the good structure, the piano had serious musical value. Except for the Chinese origin percpetion thing, it could have sold for more. I always look over Asian grands I service with my rebuilder's eye. There are many I would not touch, but there are also some that are worth a second look. He did mention the make. The thing is that it was the same make, model and era as my customer's piano but in very different condition. The difference I have seen between any Asian piano (which have only been around since the 1960's at the earliest) is that if they were treated very well, they have held up fairly well but if they were put to heavy duty use such as church, school, hotel, restaurant, etc., they did not hold up well at all. On the other hand, you could put a Steinway or Mason & Hamlin from virtually any era through very rigorous use and they hold up and are worth rebuilding when the parts are worn out. What about the tired G2 seems, to you, to take it out of the running for a rebuild? All one needs is a decent basic case and case structure, and the plate. That would all cost WAY more than the local maker would ever bare. However, it is not an indication of the structural value of the instrument. It is an indication of the perceived value of a rebuilt Asian instrument. These are two different things. It's true perceived value wins, in a decision to rebuild one of these, but, I wanted to point out that a decent structure is a decent structure, senza the perceived value discount. As a rebuilder, I have been testing the boundaries of perceived value on these and other USA pianos also labeled as low to no value instruments, as the low/no value perception is not limited to Asian brands. While its not a mass market, many of these US and Asian brands (though not all), can be made into excellent instruments, that exceed the original showroom quality. I go out of my way to look for clients who can think for themselves, and don't need the cache of a certain American instrument, as they tend to be much more pleasant customers to work with. I do recognize the perceived value issue by selling the pianos at a discount, but I think the discount does not have to be as large as I once thought, with targeted marketing, a sales plan, and a proven track record. As the perceived value thing is all about marketing, getting past the perceived value thing is also all about marketing. It was so bad I refused to tune it...played like a truck, and completely un-tuneable. It had some fatal mistakes, but those mistakes were not structural. Would you mind sharing what the mistakes were and how you addressed them? Karl, That piano was a really interesting project. I gave a chapter technical on it before it was sold. The fatal parts were: Tuneability and the action. Secondary was floating and a short cut diaphraming to the bass end of the board. 1- the major fatal mistake...it was absolutely untune-able. Strings did not move up or down...every single note was a struggle. Once you got a string to render somewhat, the amount it rendered was absolutely untrustworthy, and would usually drop significantly anyway in 15 minutes. ​I can tune recalcitarnt pianos these days...but this one was unbelievably frustrating and sounded like s..t after fighting with it.. The problem was in how the front segment, what I'm calling the "stabilizing" length of the wire, between agraffe/capo and pin, was set up. Purchasing must have bought 200 miles of brass quarter round, and said use everywheret. So tenor string termination angles were all 40+ degrees out of the agraffe, before going over the brass counterbearing, changing angles again at a steep angle for the pin wire takeoff. As well, between brass and pin , it bore very heavily on a wide expanse of very dense felt. In the capo, again high termination angles and heavy bearing on the same felt. Capo shape was not too bad. Also i suspected the wire quality itself being somehow involved, but I can't prove that. Removing strings exhibited a flattening and actual bend, rather than a curve at the agraffe contact. Strings were discarded. Agraffes re-profiled so only 1mm contact was in the agraffe and the rest of the agraffe hole was widened to assure undisturbed wire next to the termination. All brass counterbearing removed. Removing the brass knocked the termination angle way down. In the tenor, 3/4 or so 1mm bushing cloth on thin maple, ending up with 15 deg termination angle. Capos, reprofiled to a V with a 0.5mm termination land. Brass counterbearing chucked, plate reground to create an upward slope for copolymer counterbearing to sit on. 12 deg termination angle. Tuning is normal now. Capos render a little too easily, so I will probably increase termination angle with copolymer counterbearings in some situations Restrung and scaled plain wire and new bass with paullelo. 2. Action unplayable. Very heavy. Action elevations as it sat in the cavity was all wrong, and it took me a while to figure what was up. Bore way too short in relation to string height and shank elevation. Let off, very long, high resistance event despite teflon attempts on site. It just felt weird. The weirdness was this...I have an article coming out in the next couple months and a class in Tucson called "Action Spread...what's the Hubbub". This action exhibited the major no-no I discuss in the article. That is the relationship of the jack center to the knuckle was all wrong. Action stack elevations were in what my article refers to as the fatal zone. New WNG shanks, 16x9mm knuckle. Bacon hammers at reduced weight. Took the action stack to the bridgeport and changed the position of the whip rail, to fix the problem with jack center/knuckle core (see the article). Corrected hammer bore, custom bore to fit existing string heights. Fixed treble strike line. Redid leading. Did not need to change capstan. Regulated as if a top quality instrument. 3. The bridge cap got by me this time...It looked okay. I did not recap but repinned, and chiseled. Used pins which were a couple thousandths larger than the original. PIn fit was good, but the wood used in the cap was untrustworthy. I have no idea what it was. There is falseness, but interestingly its simliar to the falseness I find in Foeresters, with their Soviet era wood sourcing...I'm kind of liking certain amount of treble falsness these days actually. Didn't recap, because I was trying to see how far I could get work-wise, and still hit my sales price point. Jim I. wrote: "I'm kind of liking certain amount of treble falsness these days actually." Hey Jim - can you expand on your thinking regarding liking some treble falseness? Treble falseness is one of the major things that seem to drive me crazy about so many otherwise decent pianos. Please tell me more! BTW, thanks for the informative response you posted! Terry, My thinking on falseness is doing and interesting morph after a couple of eye opening experiences over the last couple of years. One was a Bechstein B rebuild. New bridge and nice tight grain maple top. Minor falseness had nothing to do with the cap or pinning. I have noticed on 88 agraffe instruments, that the treble seems to have an interesting quality to falseness. Pressing on the bridge pins in the way we normally do, to prove pin involvement not only does not quiet the falseness, but seems to double its speed. I have no idea why, but it does, and does it in every non-capo piano I've worked on or service. 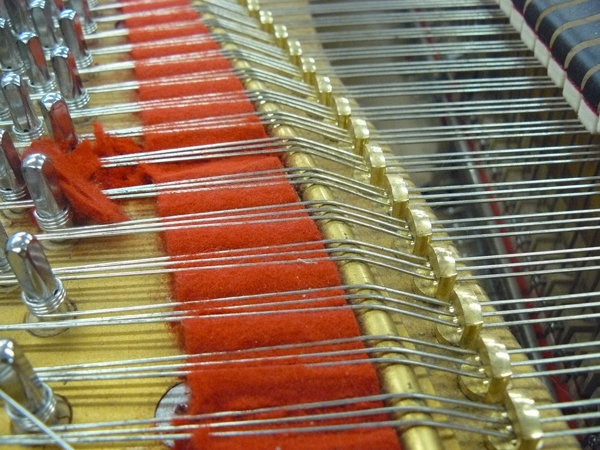 The Bechstein has a steel insert in the agraffe as well, so the wire travels a weird traverse through the agraffe, especially if the wire deflects laterally as it goes to the tuning pin. The falseness is slow, and not really in your face, but it is there. Coupling well reduces it but does not eliminate it. So its tuneable, as you just look for the best sounding tuning spot. The result is that the treble takes on a pleasant shimmer. Its the shimmer that I am liking. 2 years ago I did a CA treatment to a Forester (communist era East German production), which always had had an attractive, but active treble. Thinking falseness was diminishing the potential of this pianos sound, and having the tenor up to beginning of the 4th octave, producing more and more of the annoying slow beats that develop down there, I CA'd the bridge. Initially it killed the treble. Went back and made sure the CA was not mucking with the bridge pin contact point, cleaned that up, but still, the treble lost its shimmer, and neither I or the customer liked it. Cleaning up the tenor was a success, as that falseness is just a pain, with no up-side. Tuned it really well, and gave it a year, and the treble falseness returned enough to recover the nice shimmer. Client and I are very happy (and relieved). But there is no question, that the falseness gave a pleasant shimmer to the treble...not wild beating but movement which, interestingly, is different movement to my ear than an out of tune unison. I think this difference between gentle falseness and out-of-tune unisons is the point here. 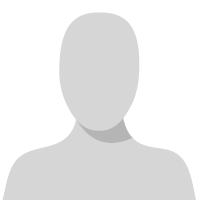 I don't know why the falseness movement sounds different that poor unisons, but to my ear, and my client's it does. The cap on these Foresters is odd. being soviet era, sourcing of really nice quarter grain stock may have been an issue, so they edge glued many very thin 2" wide boards like you would a key set or something like that, and then cut the cap out of that glued up panel. Its all failing at the glue lines, but you have to look close to see what's going on. This falseness responded to the screw driver test normally. The Chinese piano in my post's falseness, responds to the screw driver test positively. Falseness. is for the most part only enough to create a shimmer, which I really like. There are a few wild ones, and I will treat those individually next time I see the piano. I do not trust this cap, though, now that I know the wood is untrustworthy, and of unknown provenance, and will recap if I experiment with one of these Chinese pianos again. If the opportunity arises, I definitely will...but I have to get it for very short money to make the re-work billable. Terry, you may find the way I did an after-the-fact float, and dead simple diaphram to the bass of the Chinese piano, interesting. Board was very stiff. That and the scaling were a complete success. The low bass and tenor were gorgeous, and sold the piano very quickly. Here is a marketing youtube I did to sell the instrument, which somehwere toward the end, maybe minute 6 or 7, illustrates the low end sound. Jim - you've done a wonderful job on that instrument and reducing the termination angle to 15 degrees will make all the difference. Just why do so many instruments have a termination angle of up to 40 degrees? It's really absurd and makes tuning hazardous and difficult. It's great to see what can be done with such instruments.